Tunupa is a dormant volcano in the Potosí Department of southwestern Bolivia. It stands on the northern side of the Salar de Uyuni at an elevation of 5,321 m (17,457 ft) on the Bolivian Altiplano. Yiannis Pavlis.All rights reserved. Please e-mail me if you are interested to use or purchase images. 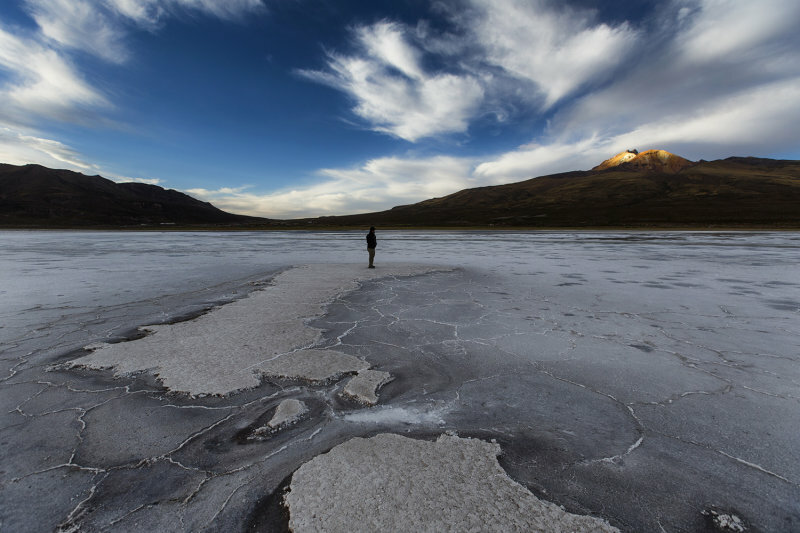 Amazing to see these vast empty landscapes of Bolivia through your lens. Very dramatic photo, Yiannis. Is this a salt flat in the FG? Big vote.